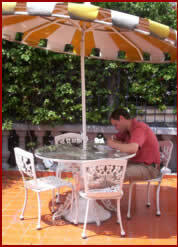 Westmount, Quebec: Linda Leith Publishing, 2013. Hamburg, Germany: Alouette Verlag, 2014. Unsere Welt in Gefahr. Klimawandel und Zivilisation. [German translation by Jürgen Brócan und Kerstin Zimmermann]. 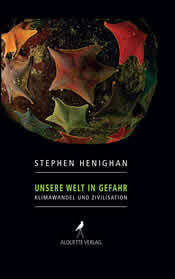 Part biography, part cultural criticism, part jeremiad, Henighan’s short volume ranges over the causes, prognoses and ethics of a warming world. Throughout the book, there is constant alarm at humanity’s lack of alarmism. The most thoughtful policy essay of 2013. In this short but immensely important book….Henighan makes clear that nothing less than the good of humankind, if not our very survival, is at stake…. As I slowly closed the last page I was emotionally wrenched. His very personal and hence also constantly self-critical polemic takes none of its own claims for granted…. It is very well suited to offer us a new perspective on our climate activism. We need this little book. 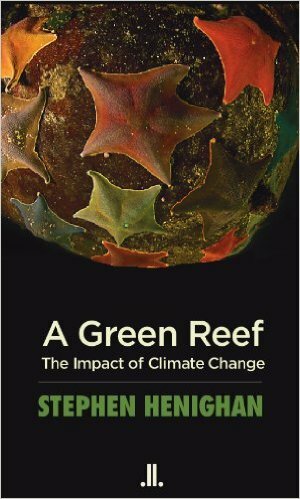 Stephen Henighan sees climate problems in various places. The Ontario novelist, translator and literature professor has written powerful text on the consequences of climate change for our civilisation.